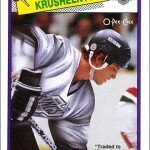 Don Murdoch’s late season trade from the Rangers to the Oilers resulted in his last hockey card looking awfully…awful. 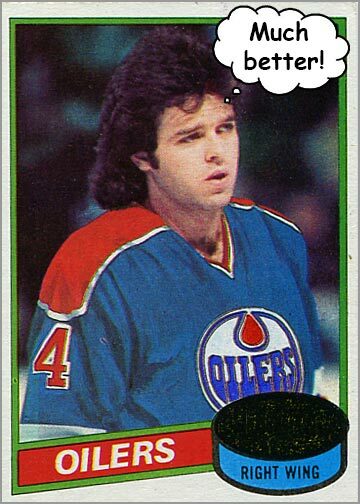 Apparently, Topps didn’t bother finding a photo of him with the Oilers. 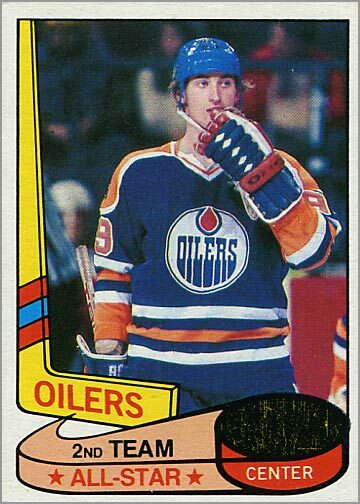 He did play 10 games for Edmonton at the end of the 1979-80 season, so a picture with his new team might have existed then. No matter. Topps did what they always would do, and painted the photo. Out with the Rangers jersey, in with the Oilers jersey. Since they could do anything they wanted, you would think that Topps would have at least bothered to use the right logo. 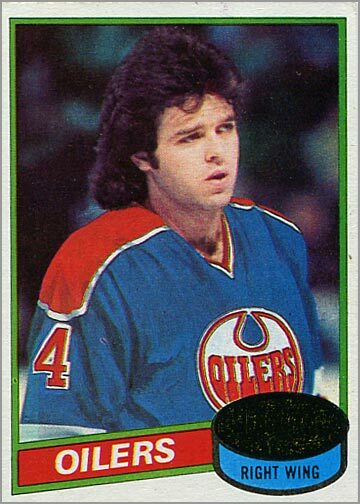 See, this card came out during the 1980-81 season, but Topps “put” Murdoch in a 1978-79 Oilers jersey. 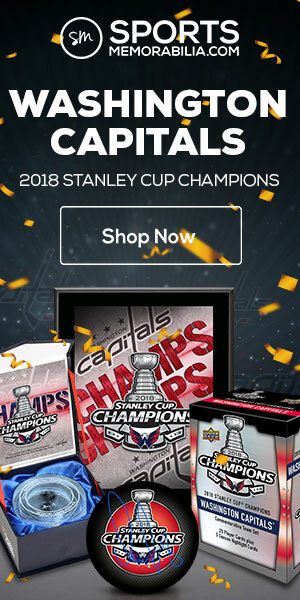 The giveaway is that the logo is all wrong. Here’s what the Edmonton Oilers blue road jersey looked like during their last season with the World Hockey Association (1978-79). 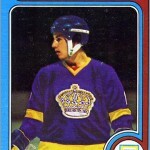 Image courtesy of the WHA Uniform Database. Note that the word “OILERS” is orange, while the “oil drop” above it is blue. 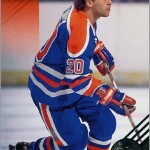 Here is what the Oilers blue road jersey looked like during their first season in the NHL (1979-80). 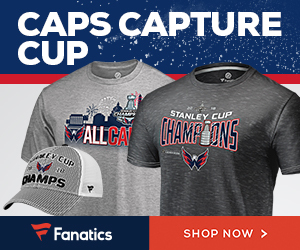 Image courtesy of the NHL Uniform Database. Again, notice the logo. The colors were swapped, with “OILERS” in blue and the “oil drop” in orange. 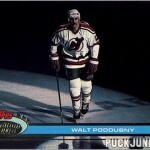 Of course, there were no websites back then that showed hockey uniforms, but really all Topps had to do was look at one of the many recent photos of this guy to get the logo right. Heck, they could have even just cut the logo from one photo and pasted it on Murdoch, like they did with Dale McCourt the previous year. I’ve decided to right this wrong, and give Don Murdoch the last card he rightly deserved. 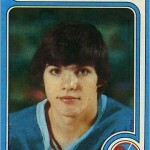 At least now, no one will mistakenly think that Murdoch played in the WHA. Thanks, Photoshop! Next Next post: Hockey logos inspired by Shark Week!